This apartment is in the perfect location. It is close to the Acropolis, grocery store, awesome new bakery, restaurants and shopping. It is quiet location - away from the busyness of the city. The apartment was clean, comfortable, and efficient! Thank you for your review. We are glad you enjoyed our apartment and the location (Thissio). A great apartment for friends travelling together or a family; short walk from either Thisseio or Kerameiko metro, supermarket, bakery, bars and restaurants. The Gazi bar/club strip is nearby and if you are energetic you can easily walk to Monastiraki in under 15 minutes. The apartment is very comfortable, loads of daylight, with a small terrace and at the quiet end of the street in a mostly residential area not affected by bar/nightclub noise. We only had one problem when the water to the apartment was inexplicably turned off. Within a couple of hours the managers moved us to another apartment in nearby Psyri for the final day of our Athens stay. Thank you guys. Good to know that you enjoyed the area. Apologies for the inconvenience caused due to temporary water issues in the area. The apartment was exactly what we were looking for. It easily accommodated 5 adults and was walking distance to everything. The property manager was extremely helpful and responsive to all questions. My only complaint was the hot water took 20 minutes to heat up and was very intermittent when 5 adults needed to shower. Overall great stay and would highly recommend. We stayed in this apartment for 2 weeks. The location is perfect for a stay in Athens. The neighborhood is quiet especially compared to more touristy locations. The management company was easy to with and resolved problems quickly. For instance, the coffee press pot broke and they replaced it quickly. The only downside was the kitchen wasn't quite as well equipped as I expected. I would double check what is available in the kitchen depending how much you plan to cook. All in all a good stay. Thank you Kenneth for all your kind words and of course for your valuable feedback. We will do whatever is necessary to equip the kitchen as best as possible! So good to know you liked this boutique athens apartment! 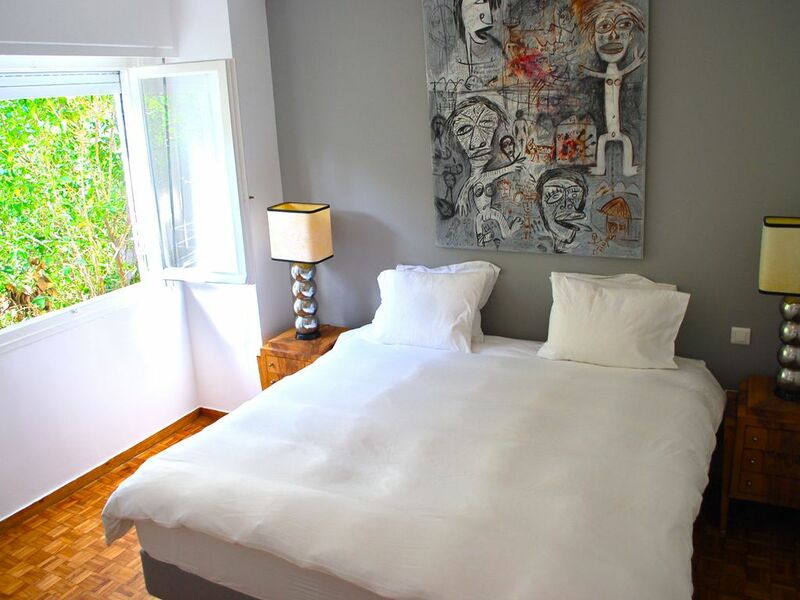 The perfect apartment for visitors to Athens, it is located just a few blocks from the acropolis and has all of the modern amenities that any traveler could ask for! Janus gave us a very thorough orientation to both the apartment and Athens, and ranged all the transportation services that we needed for our stay. The apartment was roomy, clean and located on a lovely, tree-line street with multiple restaurants and bars nearby. We loved it! Thank you Laura for your heartwarming review! Check in - check out We are happy to provide flexible check in and checkout times, so just let us know when you would like to arrive and depart and we will do our best to satisfy your requests. Please note that depending on availability check in will be by 3pm and check out is by 11am. Check-in: between 09:00 and 21:00 - free of charge For arrivals between 21:00 and 09:00 we recommend to use our reliable taxi drivers who will pick you up at the airport and check you into the apartment, at no extra cost. The cost is 45 Euros up until 23:00 and 60 Euros between 23:00 and 05:00. Alternatively, if you make your own way to the apartment, one of our staff will welcome you at the apartment. There is a late check-in fee of 20 Euros, which will be added to your balance payment.